In 2008 I traveled to Kigali, Rwanda in pursuit of an independent adoption. While there for 4 weeks I asked my Rwandan friend Happy to please bring me to a slum area- I wanted to see the "real deal" and not just the swank hotels who cater to the fortunate traveler. Who I met was a beautiful widow and mother of 5, Clementina. Her home was broken and falling in, her swollen-bellied children muddy and hungry, her resolve waning. She didn't know how long they would live in the conditions they faced. This is the dear family who taught me that each one of us CAN make a direct difference in someone's life. 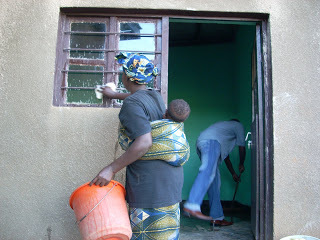 The day after I met Clementina and her kids I changed her living situation drastically with very little effort or funds. For $25 a year I sent each kid to school. For $300 I gave them a nice home and food for 6 months. I never once missed that money. Out of Clementina's story RaiseRwanda was born. My original blog post and photos follow. 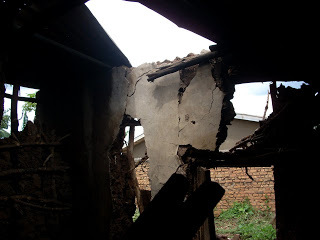 April 2008: "On one of my last days in Rwanda, I asked my dear friend Happy to show me the slums. He asked, "Are you sure?... You will cry." "I'm sure. I have been living in a very ritzy American household, I want to see another reality." So Happy took me to his neighbor's house. This is a family of six, he told me, a widow and her children that he has been trying to help for months now. Their church group has gone to clean the house and Happy has donated food and clothes. We bounce up and down through the ruts along the red mud road, Happy stopping along the way to ask through his window to the kids below where the mum of this family is. We come to a stop in front of a dirty house front and out come the kids, followed by their mum holding the five month old boy. "Muzungu" is all I can make out, the rest is Kinyarwandan that I can't understand. We go in to look around at the living conditions. The roof has blown off, the mud walls crumble beneath it, and the dirt floor has turned to mud with the April rains. The house is made of two rooms, one for sleeping and one for cooking. In the sleeping room is one mat where the six of them sleep together and the children are covered in bites from the bugs that sleep with them also. Above their mattress is a leaning mud wall, cracked vertically in two places. Happy and I inspect it for a while determining that it is only a matter of time before the family is buried alive while they are sleeping. The other room houses a cooking pot and branches used for fuel. The kids themselves (ages 5 months, 4, 6, 8 and 13) are gorgeous, but filthy. When we ask, we find that the woman feels it is impossible to clean since the mud comes in constantly with the rain and dust from the road. Their source of water is very far away and they can scarcely afford to buy it. In a day's time we have met with the mum, received assurance that she will keep a new place clean and safe, heard her ideas for sustaining her own life, found a new house with power and cement floors, paid five months rent, purchased 3 brand new mattresses, collected new sheets and clean clothes, sent the family for haircuts, cleaned them up and moved them in! Moving them was amazing, the mum was so excited. Can you imagine? In the morning you wake up not sure how you will survive and by nightfall you have a new home, clean clothes and beds, and hope for tomorrow! A crowd grew that day, watching us work and word spread around the neighborhood that a Muzungu and her friend Happy had helped this family. The next day Happy had five more families banging on his gate for help... you can't help everyone, but you can help where you feel called to do so. Now here in Vermont, some homeschoolers are learning about this family and working hard to sponsor them. One family has sold brownies on a college campus, earning 27 dollars so far- enough to nearly pay for one months rent! On Memorial day Ariah will be selling her famous chocolate chip cookies to raise money for the family. In addition to helping the mum to keep her home and buy food and water, we are also researching sending her to tailoring school so she can learn a skill that will allow her to make money in the future, supporting her own family herself. Next year the kids will need $210 dollars total for all their school fees. I will forever remember looking into the woman's eyes as we stood in her new house deciding to buy it. I couldn't speak to her with words, but I stood in front of her for a moment that seemed more like a lifetime, then we hugged and began the move." I've since reunited with Clementina and her kids, and they are beautiful and doing well. Clementina has a very small store in her village but still struggles to make ends meet. RaiseRwanda is now raising funds to send the oldest child to a technical school where he will learn to drive and work on cars. We will be enrolling the young ones in a school program- a sister school we are working to set up. Any donations you make will go directly to this family should you specify this. Today I wanted an iPhone. But my data plan would cost me monthly what it will cost to house and feed these kids for a long long while. We truly can help others, if we focus on some small sacrifice on our end. I spent the day dreaming on Raise Rwanda, the foundation, possible logos, of fundraising possibilities, of Twitter this and Facebook that. While driving from gymnastics to the grocery to the craft store and back, I am thinking of the 13 students already enrolled in the Raise Rwanda program and yearning to meet them, to get to know them, their dreams and history, their personalities and their families. 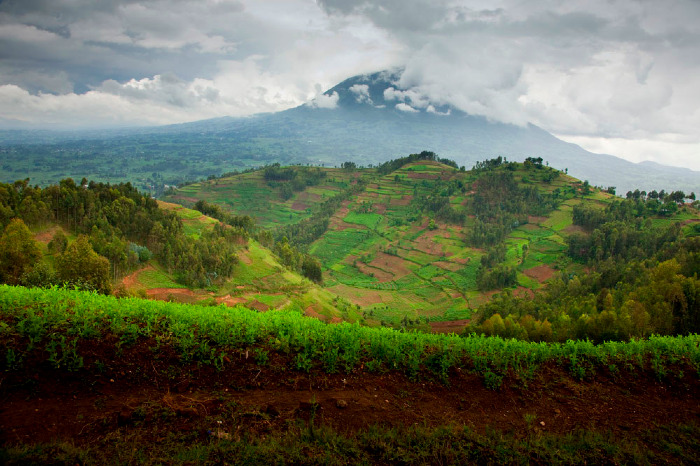 I want to take great photos and chronicle their lives to share with Raise Rwanda supporters. I envision their photo journal and stories posted on the website so people can connect with each child intimately. In between my son's acrobatic stunts at Cobra Gymnastics I try unsuccessfully to fix the donate button. So this is what it feels like to have 13 children relying on you for their future. As my son melts ice cubes on the woodstove, I realize I am dreaming a true organization, a charity, into life. But underneath the foundation are real. live. children. depending. on. us.